Message: One month of summer down. One month to go. My wife set our school district’s calendar down on the table last weekend. I peeked at my first flex day: August 8. As Scooby Doo would say, “Rut-rough!” Not that I am complaining. I am enjoying every bit of time with my family and am beyond grateful for these days alongside them. But as the smoke clears from the fireworks of July 4th, my mind starts to wonder … how can I grow this upcoming school year? 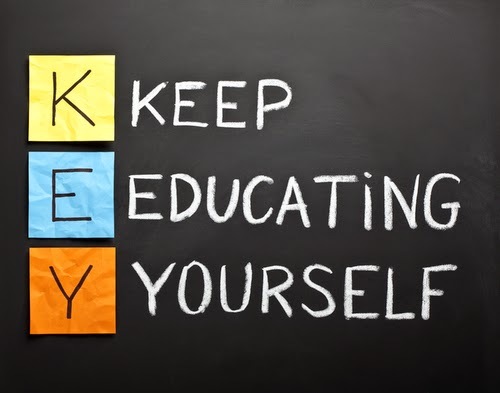 The key is to keep educating yourself. And no, I did not come up with that on my own. Let’s look at some applicable ways we can use July to our advantage. Take an online class. Whether you are looking to recertify, learn something new, or move over on the pay scale, furthering your education online is an easy way to stretch yourself. I took a Google Docs course this spring and learned a ton about technology I didn’t know. I also took a course through Gateways that educated me on how to lawfully be a bold Christian teacher without violating Separation of Church and State. Read a book. I used to set a goal for myself to read one book per summer. Then I had kids. Go figure! Still, I have a goal to refresh myself over the Common Core State Standards to ensure I am teaching all that I need to be. Who knows? I might even come up with new ideas how to teach it. Practice with new technology. Do you ever have a new app that you want to try out during the work year but always never have the time? Guess what … now is that time! I want to try out Twitter this year, not to mention Flipgrid and Seesaw. Nearpod looked cool too. I will be spending a bit of time on YouTube to find free videos on how to use these apps. If I start sinking there, that is when the next point below here comes in! Seek help from a friend. Hey, let’s face it. We are all gifted in different areas. If you need help with character lessons, I am your guy; however, technology is not my forte. Unless I am taught it and practice it enough. Find someone experienced to guide you. Don’t know anyone? That is one of the reasons I plan on signing up for Twitter. Utilizing the help of language arts teachers around the globe is sure to help. Sorry. I did not mean to overwhelm you or even make you feel inadequate for taking the summer off. Do not forget about your family, your friends, or that final summer vacation. July should be a healthy blend of the fun stuff too. But as August gets closer and closer, as Solomon says, “An intelligent heart acquires knowledge, and the ear of the wise seeks knowledge” (Proverbs 18:15). As a matter of fact, I will declare this now: the moment this blog is published, I will be finding out how to sign up for Twitter—so long as I can tweet from my iPad. I am pretty sure my flip phone doesn’t tweet, chirp, or make a peep. At all! Just remember that you are never too old to stop learning. Get out of your comfort zone. Try something new. Seek that wisdom you have been wanting to wrap your mind around, and begin to plan the magic you will soon be creating in the fall. Challenge: If you are like me, you have a month left of summer. Pick one idea from the list above to broaden your learning in your content area, create a plan, and execute it. Video application: I love inspirational videos. This one gets me. It makes me want to seek out even more before August 8. I refuse to be stuck in a rut, doing the same thing over and over again. There is always room for improvement. This video is a powerful reminder of that. Journal/Accountability: How do you want to grow as an educator this year? Get out a pen and paper and make a list. If you want to get ahold of a colleague that could help you, now is the time to do it. Bible story: Read Proverbs 1:1-7, 20-33. How does Solomon describe wisdom? Why is it so important to him? Why would it make God happy for us to seek His wisdom? Do you ever find yourself content with only knowing what you already know, not willing to try something new? How can getting out of your comfort zone benefit your students? Prayer: Lord, if there is any way I can grow before the school year begins, guide me to soak in that wisdom. I pray you will help me apply new learning to my lessons this year. Amen.